CommunicAsia 2010, an event held in Singapore, with exhibitors from all over the world, coming together at the Singapore Expo, showcasing the latest convergent technologies and applications, attracting many buyers and sellers to showcase here. This is my 2nd visit to CommunicAsia, last year 2009, I was invited by XPR in conjunction with the LG Viewty Smart and this year 2010, I was invited once again by Daphne of XPR to attend “Come Experience the Joy of Conversations with Skype” whereby Peter Parkes, the Social Media Lead at Skype hosted us. There was a group of bloggers invited for this event and it was great to see Smith and Amanda there. 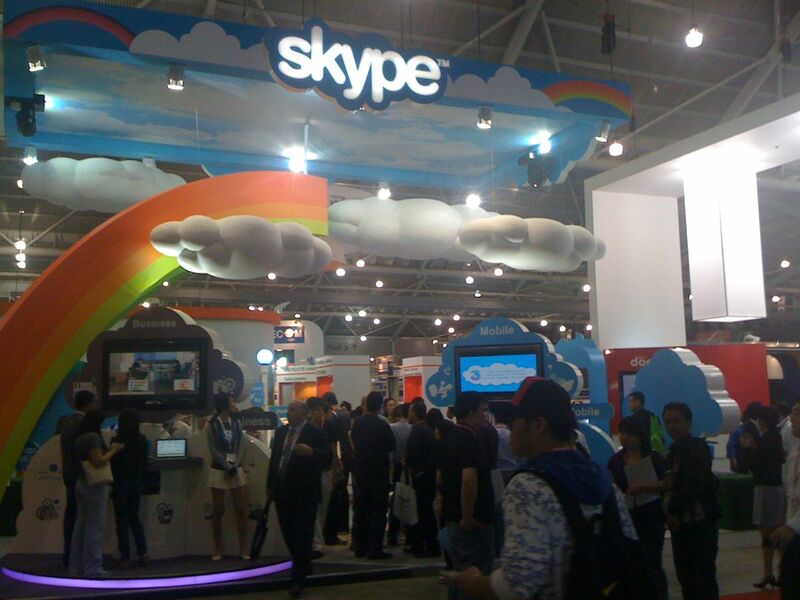 Once we got our Trade Visitor Pass, we went in and Peter Parkes hosted us and walked us around the Skype booth, it was beautiful and eye-catching due to the design setup of rainbow and clouds ! We had a fun guided tour and it was a great experience to see Skype being more actively used than just calling from your computer to another computer or mobile phone or land line. 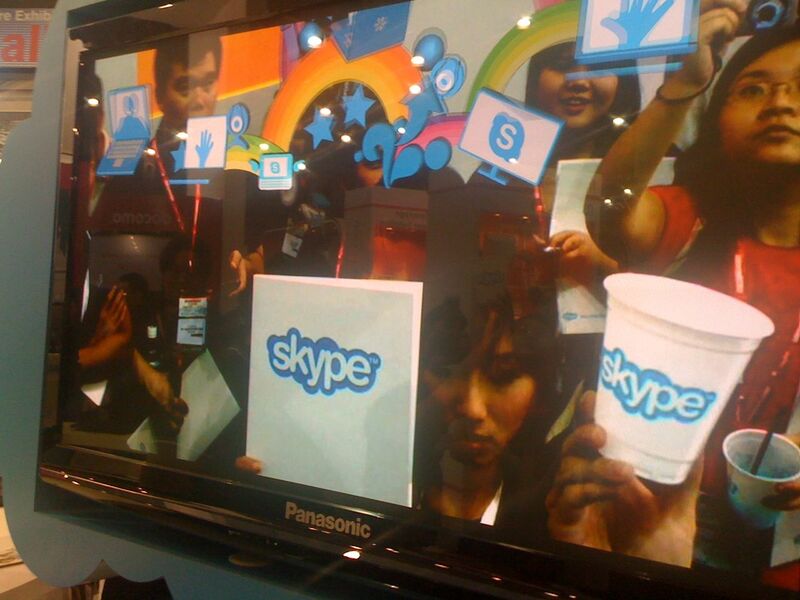 With the latest mobile phones that support video conferencing, using Skype is cool and easy ! The integration of Skype into modern television brings the tech geek out of me and I am sure this movement by Skype into television would be very useful especially for the older folks who had difficulties mastering computer and internet. The future looks so much more technology defined and powerful ! It was not all just about technology and appliances, we had slurpee courtesy of Skype and a specially designed and produced Skype iPhone casing ! Do check out Skype, it’s something that is already a part of our life, in leisure or work and moving forward into the future, it promises to be more exciting and powerful ! Glad you enjoyed the tour – thanks for coming along! 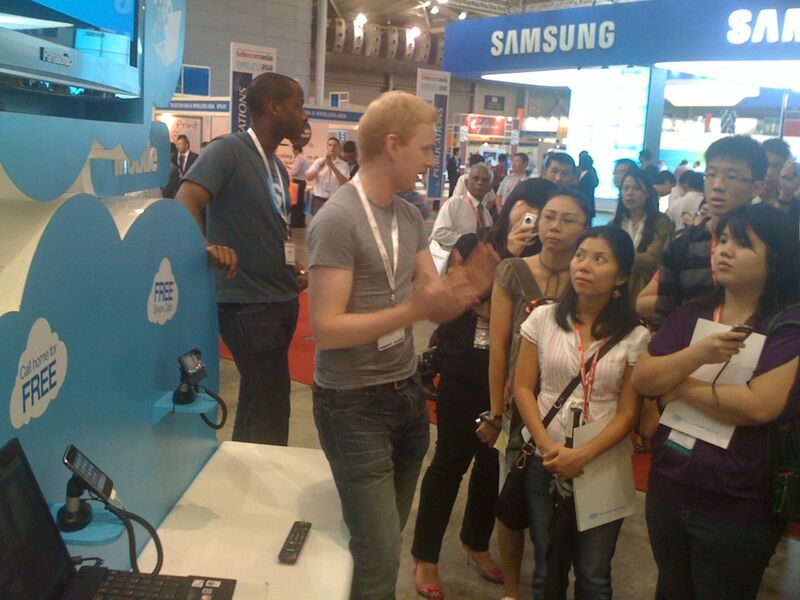 Thank you for your great & warm hospitality during CommunicAsia 2010 ! I had a fun time there and enjoyed the tour you conducted ! Thanks for showing more of Skype ! I think the event was really fun and lot of people who participated had a great time. I am just wondering where will be the next destination of this.